The Dreaming Armadillo’s official deceased comedians’ obituarist Philip “Skinny Banana” Larkin returns with a tribute to Mel Smith who died last month. I was spending a weekend with friends down in Milton Keynes a couple of weeks ago, and we decided to go for a long walk in the glorious sunshine. We stopped at a convenience store to grab a few items for dinner, and it was there that I saw on the front of the Daily Mail a photo of Mel Smith and Griff-Rhys Jones in one of their head-to-head conversations. “Good”, I thought, “they must be coming together for another series, or a special programme.” Then I inspected the photograph more closely. 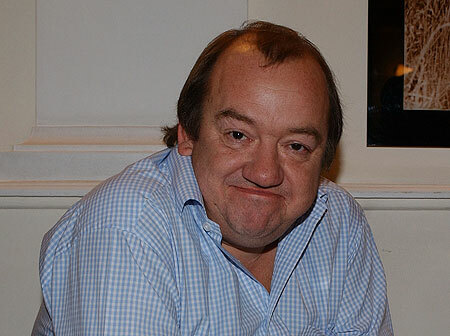 The caption tagline read: “MEL SMITH DEAD AT 60.” He had died from a heart attack. I felt sad, for a number of reasons. The first I suppose is one we all feel when someone we remember as a feature from childhood passes on, someone who has been metaphorically “in our house” through TV. I recall watching Alas Smith and Jones with my brother years ago, us laughing like drains at one of the “Home Video” sketches, where a family of chavs and their slobbish lodger, Len (Mel Smith, obviously!) 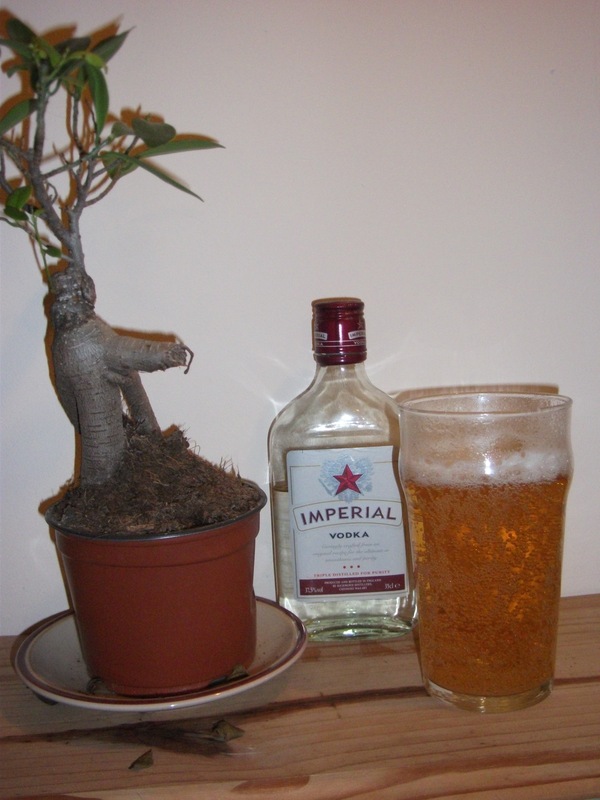 made a very feeble attempt to re-enact Star Wars. It was hilarious. The second reason I felt somewhat sad was because he died at such a relatively young age, and never got the chance to enjoy the fruits of his achievements and life with his family into old age. That said, he did lead a very full life. I’ve recently been finding out quite a lot of new information about Mel, but some things about him were obvious to all. He came from an ordinary family in Chiswick, London, where his dad was a bookie – Mel was, I discovered, very fond of the races and a flutter on the gee-gees himself – I suppose that it was in the blood! Apparently from the age of six or so he would direct little plays and sketches with his friends in the neighbourhood, so it’s perhaps no surprise that he took this route in life. He would have admitted himself that he was never the handsomest of men, but he could use somewhat bulbous nose, thick lips, and hangdog appearance to amazing comic effect – he looked funny, and was aware of it, turning what many men would see as a curse to his advantage. He was one of those people who, once you saw him on TV, you wouldn’t forget. His appearance and frequent portrayals of slovenly and louche characters belied a sharp intellect and a strong sense of street savvy: as my dad would have said, “The softest part of him was his teeth.” From his grammar school he won a place at Oxford to study psychology, but, as he later said, he was attracted to Oxford primarily due to its famous and prestigious Drama Society, of which he later became president. It was through this office that he met Griff Rhys Jones, who was president of the Cambridge Drama Society, with whom he was to form a long-standing partnership. From what I’ve read, Mel was one of those people who really loved life, and all the good things that it had to offer, such as good food, alcohol, cigars, and quality cars. Sadly, it seems as if his fondness for the first three of these took its toll on, since he had suffered from much ill-health in recent years. I first remember him as a child, appearing in episodes of the then ground-breaking comedy show Not the Nine O ’Clock News, together with other young newcomers Rowan Atkinson, Pamela Stephenson, and, of course, Griff Rhys Jones. This show, much of which has stood the test of time, was pure gold once it hit its stride, poking fun at more or less anyone and everything, including older, more conventional comedy shows. CW will confirm that I nearly choked with laughter one night when he put on the CD of Mel and Griff’s skit on the Two Ronnies, “The Two Ninnies.” We both later found out that the late Ronnie Barker was extremely upset about this sketch, labelling it “excrement.” I know that CW is bored with me saying this, but I do think that Ronnie overreacted a bit (and allegedly he did come to realise this when he had calmed down), when it would have been better to see the funny side of it. Another memorable sketch featuring Mel was one with Rowan Atkinson and Pamela Stephenson, where he was a professor on a chat show with Gerald the Gorilla (Atkinson), whom he had taken from the wild and made perhaps too good a job on civilising, including teaching him to speak flawless English, study philosophy, and play a game of one-upmanship with the professor. Priceless stuff, and the comic rapport between Smith and Atkinson was brilliant. Yet it was Jones with whom Smith was to go on and form a long lasting partnership with. Practically all of us of a certain age remember the famous head to head dialogues against a black background, where Smith would play the know-all (who really knew very little), and Jones would play the credulous, dumb bloke who occasionally would hit on a nugget of clear reality, puncturing the inflated pride of Smith. Mel also scored great success as a producer and director, developing the Talkback production company with Jones, and selling in on to make them multimillionaires. He also directed the Mr Bean movies, starring his old colleague Atkinson. To me, it’s just a pity that time caught up with him so soon and he couldn’t have continued to enjoy life for a bit longer. He was a few years younger than me but my mum and his mum, my sister and his sister, we were all friends together. We all used to play in the street together. It was after the war. We stayed friends even after he went to the local grammar school and moved away and went to university. I was just a normal working class lad and became a signal engineer, but it didn’t make any difference to Mel. He treated everyone the same and he came to my mother’s funeral. We used to play cricket in the street together, he had all the bats and the stumps and we played football too, well you did back then. He was a very generous man and a kind character. Not bad at cricket either! Perhaps of all the eulogies he was given, Mel might be most pleased with this one cited above. Perhaps he was the archetype of the “working class boy made good”, whose attitudes towards friends never changed despite his success. One thing is certain, and that is that the world of comedy has lost a truly talented man, who brought laughter to us while alive.